Life and career of Sanjay Dutt have hit unimaginable lows. As he makes another comeback, the actor says he is now a patient man who wants to move on. Sanjay Dutt who is known for the flamboyant attitude in Bollywood has got himself in several controversies over the years. The actor was linked with several actresses since his early days in the film industry. 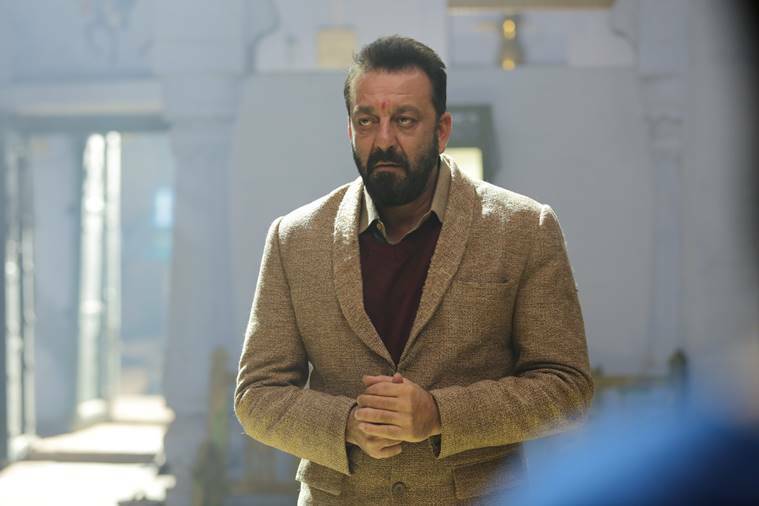 Currently, with so many controversies surrounding the actor, Sanjay Dutt made a bold confession in his recent interaction with the media. Sanjay was promoting his upcoming film ‘Bhoomi’ in Mumbai and his interaction with the media, and there was a question asked about has he ever dated two girls at one time? The actor laughed and said, he had dated three girls at one time, and it was a great experience to do so! Sanjay went on to say, it isn’t easy to have multiple affairs, but if you are clever, then you can handle it. The actor also said, it feels good to be loved and end of the day everyone wants to be loved, and that led him to have multiple affairs. The 58-year-old actor is wearing a pair of jeans, a black T-shirt, and printed leather shoes. His well-toned body sports multiple tattoos, while his hair and beard are carefully clipped and dyed. Dutt chose Bhoomi, a film about a father’s search for justice for his raped daughter, because of its “strong message”. Bhoomi is a story of a father and daughter from a lower middle-class background living in a small town. When the daughter is raped, it shows how the family deals with it. As an interviewee, Dutt is known to give short answers. He lives up to that reputation, even though he does not dodge any question or shy away from talking about his past. He said he does not want anyone to go through the same ordeal. One has to be balanced and focused in life. Forgetting the past is certainly not easy. It always plays a role in your present. But, yes we all need to move on. MOve on from the past, learn a lesson and move ahead in life. On the work front, Sanjay Dutt’s ‘Bhoomi’ directed by Omung Kumar is all set to release on September 22nd.